Why are there so many divisions America? What can we do to fix these divisions that are tearing the US apart? 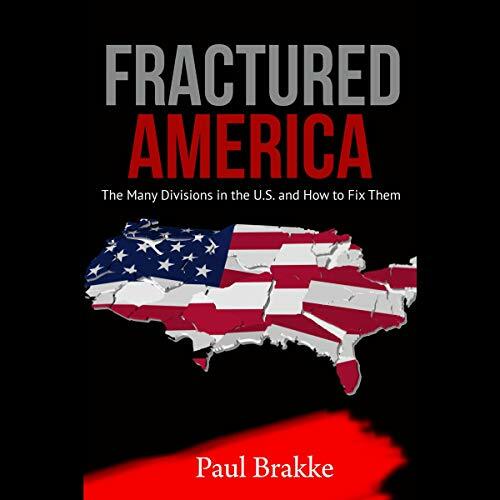 Fractured America discusses these many divisions and how to fix them. It begins by looking at the first racial divide going back to Civil War times. Then, it fast-forwards to discuss the present conflicts, such as the controversy over the killings of blacks by cops and the Black Lives Matter movement. It describes the difficulty of ending segregation and ending or delaying affirmative action. The book concludes with some suggestions for reforming the system. These are fixes are desperately needed, as incivility and violence between groups are getting worse - unless we do something to create a new unity in the US. This book will help you think of ways to heal the growing divisions.